Convert animated GIFs to videos. 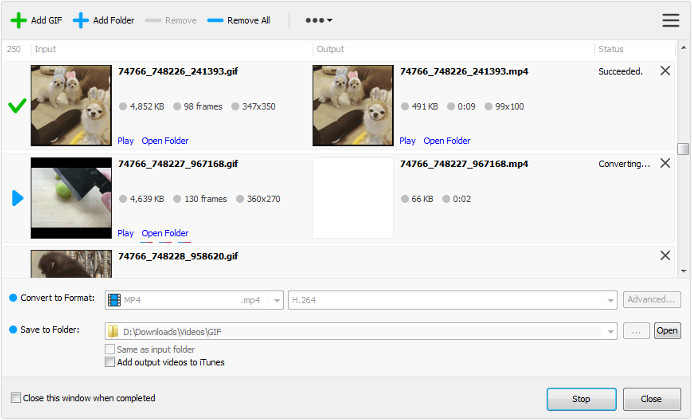 GIF to Video is a Windows app for converting animated GIF files to video files. Support MP4, FLV, AVI, MPG, WMV, MOV, and more video formats. Optimize videos for iPhone, iPad, Android device, and other devices. Ready-made presets for all video formats.